Hi there, my dear readers. I'm sincerely sorry that this blog isn't updated regularly anymore. It's just my lack of time and also I'm not really in the mood to sit down and write or select and edit photos since I got a new job. 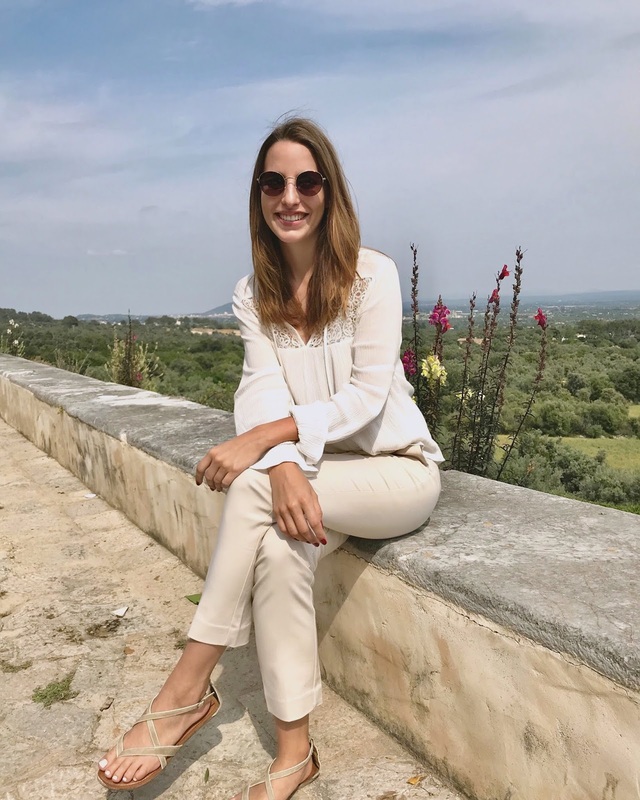 I'm working as an editor and online manager for the lifestyle magazine Look Mallorca now and my work pretty much consists of what I'd do for my blog. So after spending eight hours daily with my laptop I simply don't feel like seeing it any longer. I have so many beautiful photos of great events and vacations though that I didn't post so today I'm finally updating my blog a bit. I took these photos at a beautiful event my colleague Anna from the magazine and I got invited to. The authentic Mallorquin beer brand Rosa Blanca organized a unique presentation to celebrate the revival of the beer that had disappeared from the market for a while. We were greeted at a stunning villa in Binissalem with fresh lemonade, snacks and a tour of the finca. Later we could visit the Conalma Design art studio you can find on the estate. They produce beautiful wooden accessories and tiles. After the meet and greet we all sat down for lunch on the terrace where we could enjoy some traditional Mallorquin cuisine with amazing views of the surrounding countryside. I loved the event, especially the great food and the wonderful people that came. It was a colorful mix of artists, designers, singers, bloggers and press. Thank you, Rosa Blanca, for inviting us to this special event!